As landscape architects and planners, J.A. 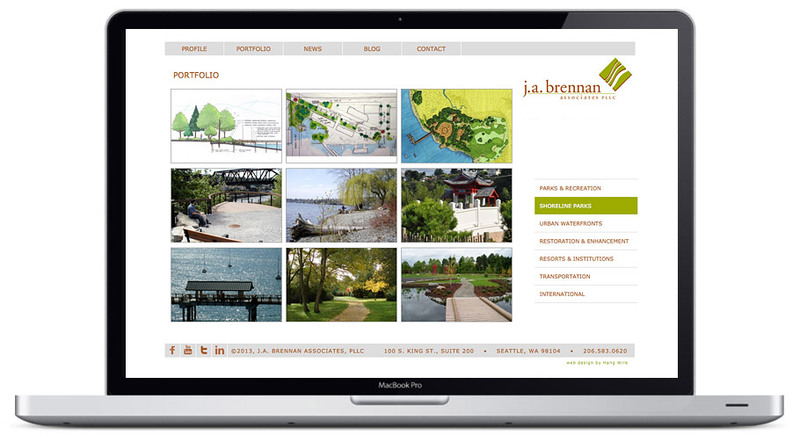 Brennan are committed to improving the natural and built environment for people and wildlife. 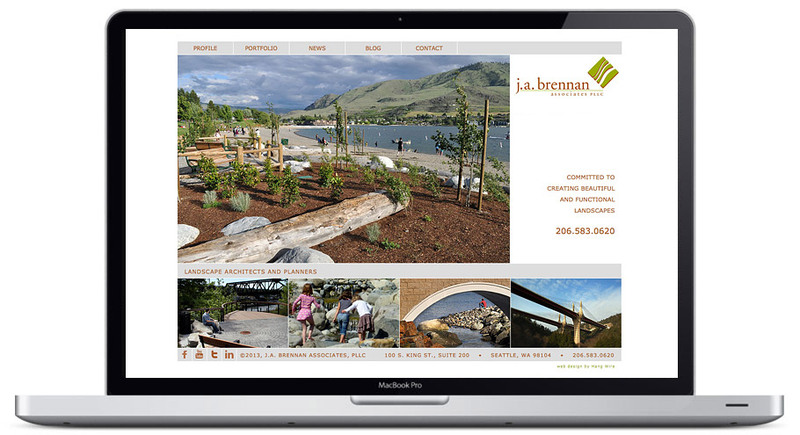 Their designs capture the essence of a site. They came to Hang Wire Seattle Web Design wanting to bring this philosophy to the web—capturing the essence of their firm and its work.